SPRO Bronzeye Pop 60 Frog - Natural Green. 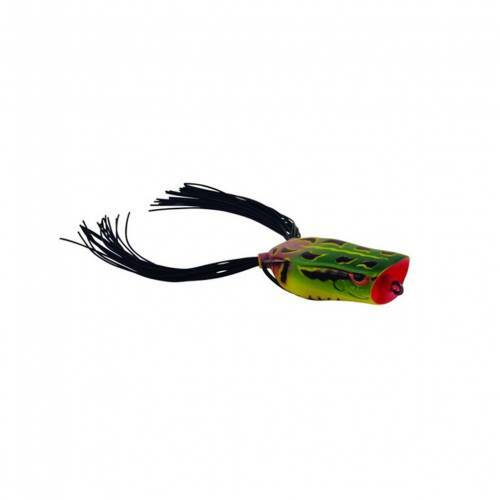 This Bronzeye Popper Frog attracts bass out of the thickest cover with its loud popping sound. Specially designed 3/0 Gamakatsu hooks fit the bait perfectly for solid hook ups. 1/2 oz. 60mm. Super Sharp Gamakatsu Double 3/0 hook. Assorted colors available.